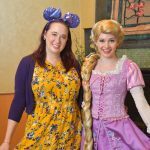 The holidays are among us and it’s time to shake things up a bit! If you’re a little tired of the same old dinner, starting thinking “inside the box” and start a new holiday tradition with Betty Crocker. I love the holidays, not only for the time spent with loved ones creating memories and exchanging gifts, but also for the FOOD. My family has been making the same holiday dinner and side dishes for as long as I can remember, and there’s a reason for that – they are great. 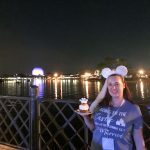 It’s total comfort food and makes me feel warm and happy inside, and totally worth the temporary extra pounds. But every now and then we get creative with a new recipe. That’s how these Gargonzola Mashed Potatoes with Caramelized Onions came to be. 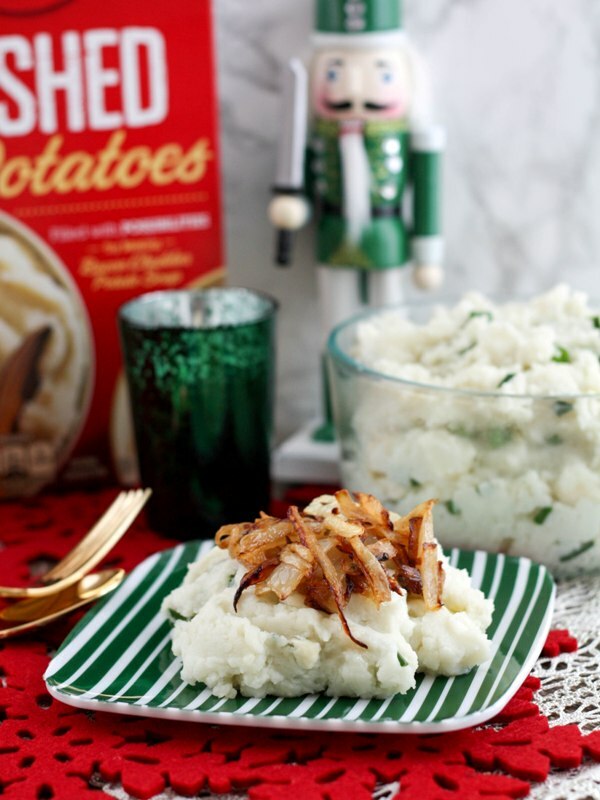 Mashed potatoes are so versatile, it’s easy to spice them up a bit with a few simple ingredients. 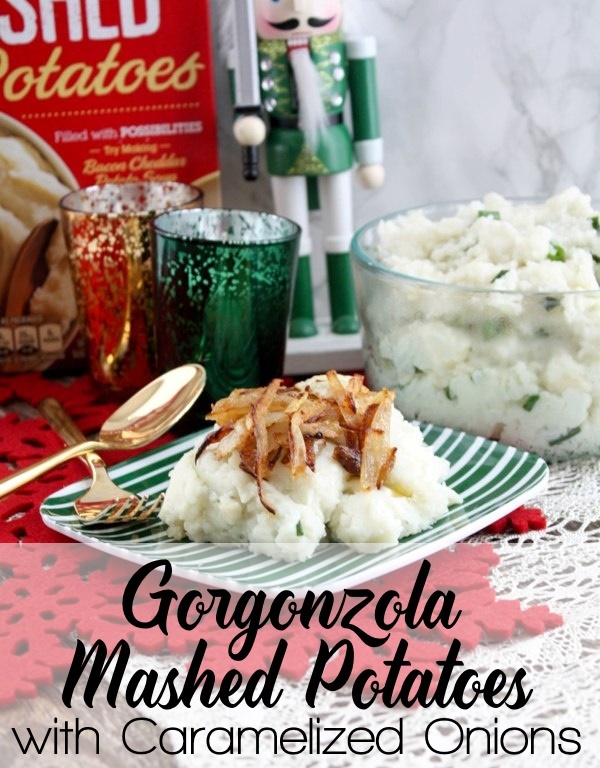 I looooove cheesy mashed potatoes, and when I first made these they were an instant hit and have become a new holiday tradition. 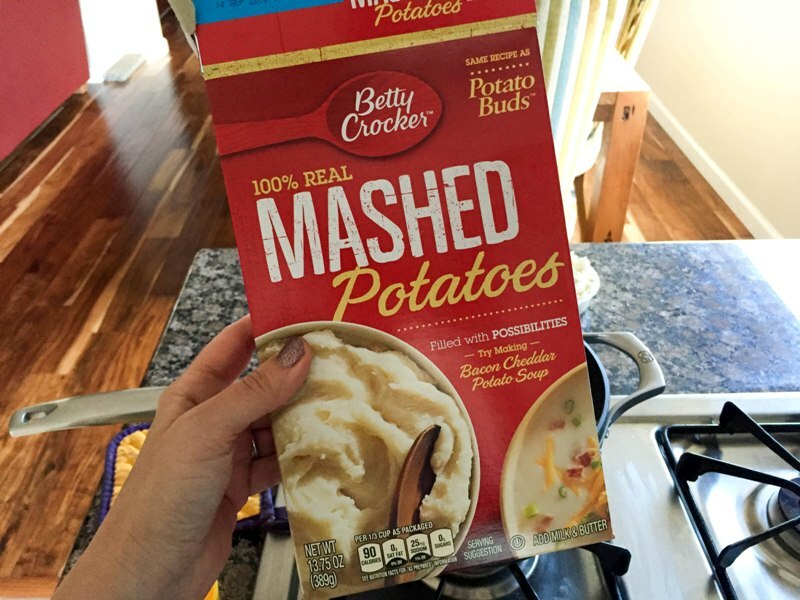 Using Betty Crocker Mashed Potatoes from the box makes preparation extra simple. They are made with 100% real potatoes and taste delicious. Caramelize the onions. Melt 2 tbsp butter with 1 tbsp oil in a skillet over medium heat. Add onion and cook, stirring and flipping often, for about 15 minutes, until the onion is soft. Add the minced garlic and cook for five minutes longer, until all the onion is soft and brown. Remove from heat and set aside for later. Prepare the Betty Crocker Mashed Potatoes per the instructions on the box. For this recipe, I used two cups of the potato flakes and added the appropriate butter and milk. 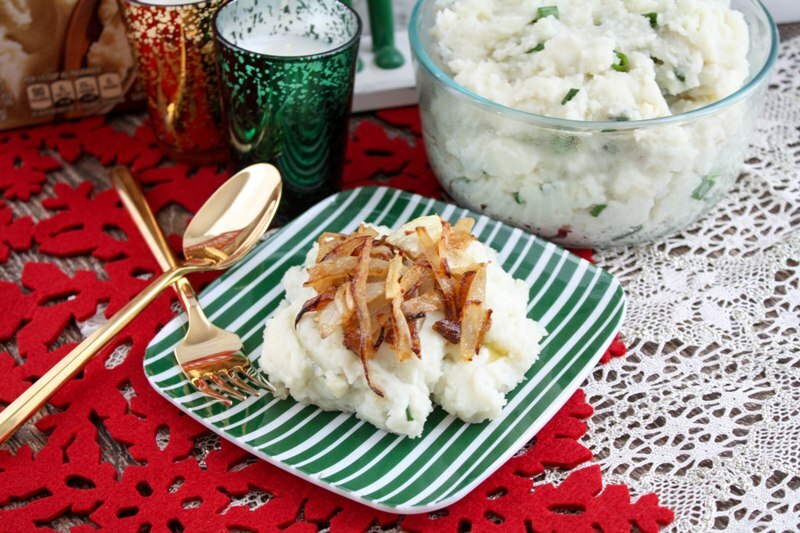 Once the mashed potatoes forms, remove from heat add the Gorgonzola cheese and chives or green onions and stir well until the cheese is melted in. 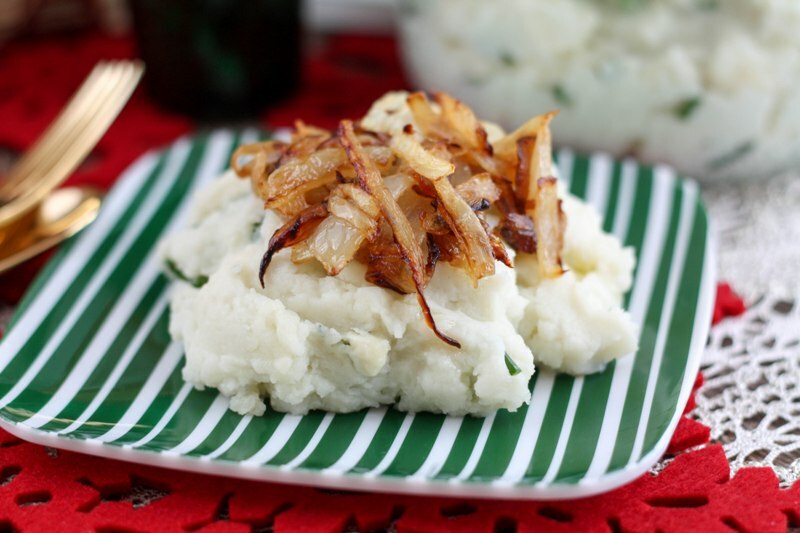 Serve the mashed potatoes with the caramelized onions on top. You can either serve them together in a large dish, or keep them separate and let each guest choose how much onion they want on top. I created a video show you exactly how easy it is to make this recipe using Betty Crocker Mashed Potatoes. • Betty Crocker Potatoes are 100% real potatoes, farmed here in the United States. • Skillet, baked, in the crockpot, on the stove…Betty Crocker potatoes are flexible and simpler to use than a sack of spuds. • The product is adaptable: have a box or pouch on hand to accompany any dinner occasion. What is your #ABettyTradition or holiday tradition? 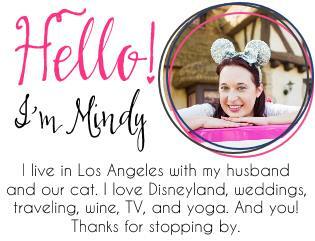 Share your favorite recipe or dish with me, and maybe we will all discover a new favorite!